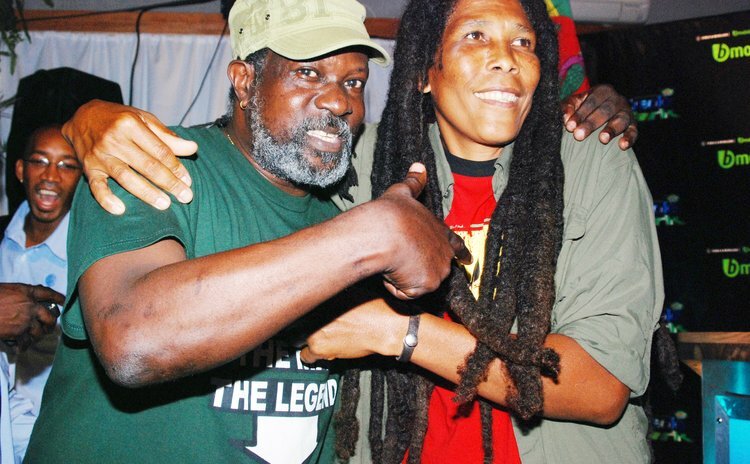 It's been a cry, seemingly unheeded, since no clarifications have been given to explain why Dominica's premier Reggae artiste, and one of the world's greatest, is yet to grace the stage of the World Creole Music Festival (WCMF). But artistes with just two songs, one album particularly from Jamaica have found their way on the DFC line-up and have received thousands of dollars more than our local acts because according to the DFC they do not have an international following. A performance by Nasio Fontaine, arguably the most renowned international Dominican act, is elusive and shrouded in mystery. This mystical Rastaman is thought by many as the best thing that happened since Bob Marley, based on his melodious voice and his poignant lyrics. I dare say only Cronixx can compete lyrically but performance wise, charisma and vocal aptitude he is a distant second to the man from Bagatelle. Just four albums and Nasio has caused the world to notice his rare ability. He has performed to sold-out audiences in Africa and had been signed to Columbia Records, one of the biggest record companies in the world. It is clear that Nasio was heading somewhere bigger to the envy of Jamaicans who obviously would be peeved that someone "down island" seen to be poised to carry on the Marley legacy and not any of his children who have just a shadow of their father's talent. People as well as media persons ask from time to time where is Nasio. Is he on island or not? Is he in his Zion at Bagatelle? If he is on a sabbatical then he has broken all such records. Not even an interview in years. Some say he is queer, difficult, frustrated about the systems, record deals, management issues and every now and then "the DFC don't want to pay him as the international act as he is, as he is worth". Ironically, not Triple Kay, not WCK, not Michele, not Ophelia, not Gordon Henderson; or even add all their fans together, have a following or can draw audiences to the Festival City as Nasio could. Thank God and total credit to DBS's 'Rice-man' who conducted a survey almost two weeks ago while programing on DBS radio and overwhelmingly Dominicans of all walks of life at home and in the diaspora want Nasio to be slated as a major act for WCMF 2019. Piper, Wadix, Madam Festivals Director, it's the people's wish and you must respond and break the silence on this matter. It's been too long. End the speculation and seek out Nasio as you do any other international act and afford him the same respect and pay him as much as the performers who are not half as talented. The album "Unarmed and Dangerous" is one of the best ever in Reggae circles and if Nasio was a Jamaican, with the right marketing and buttons pushed, this is Grammy material. If the problem is the artiste, as rumor sometimes suggest, I also call on Nasio to let reason prevail and both parties meet in all humility void of attitudes. Just as Ophelia, Gordon, Jeff, Chubby and Michele, Nasio represents strongly in the handful of artistes who have, through their solo efforts, become institutions as the Cabrits or the Trafalgar Falls and so must be marketed and promoted as a part of Dominica's tourism product. We also wait to see if nine-time Calypso Monarch and Calypso generally cannot find a home, as it should every year, on the WCMF. It is instructive to note that in spite of the DDA boss' recent comments about maintaining traditions alongside the contemporary that the ever presence of Bouyon music is not matched with that of Calypso, whose continued survival is now being threatened. The situation may require a mediator between the DDA and the artistes as occurred with the reunification of WCK which gave birth to the OBP- Original Bouyon Pioneers. One thing is certain: Dominicans want their Nasio and certainly another survey would also prove the same for Calypso albeit to a lesser extent. I, therefore, add my voice to that of Garvin Richards and the scores of others who called the radio programme.